The mysterious disappearance of Flight 19 in the Bermuda Triangle zone remains one of the world's greatest unsolved mysteries to this very day. The disappearances occurred on the 5th day of December in the year of 1945. This flight was a training exercise by the United States Navy. It consisted of five individual avenger aircraft that were known to be torpedo bombers at the Naval Air Station located in the Fort Lauderdale area of Florida. The name given to the training exercise was "Navigation Problem No. 1". It was lead by a Lieutenant identified as Charles Carroll Taylor. It is documented that this professional had at least twenty five hundred hours of flight experience. Unfortunately, his experience could not prevent the mysterious occurrences of Flight 19 that winter day in the Bermuda Triangle zone. The training event of Flight 19 was supposed to start at 1:45pm, but Lt. Charles Taylor arrived late. As a result, it failed to initiate until 2:10pm. Each of the aircraft scheduled to run the exercise was checked for functionality, loaded with full tanks of fuel, and clocks were removed from the aircraft. The clocks were eliminated as the men had to be able to calculate time as it elapsed during the event. The idea was that the five aircraft would take off and fly nearly sixty miles to an area referred to as "Hens and Chickens Shoals". Once this destination was reached, they would begin the process of bombing the land below. 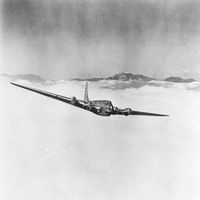 Once completed, Flight 19 was scheduled to fly nearly seventy more miles towards the east. They were then supposed to turn and fly over the island of Grand Bahamas. They would then turn once more to fly back to Florida. The exercise was triangle shaped, ironically. It is known that the individuals involved in the Flight 19 training program successfully completed the bombing aspect of the session. The completion of this in the Bermuda Triangle zone occurred at approximately 3:00pm. Contact was made with those at the base in Fort Lauderdale, Florida shortly thereafter. Lt. Charles Taylor informed the land based listeners that the compasses on his aircraft were malfunctioning. He then informed the listener that he was making an attempt to reach Fort Lauderdale, but was over land that was broken. He felt this was the Florida Keys, but did not know how to get back. Several contact attempts were hit and miss. It seemed as if Flight 19 was trying desperately to discover some familiar land so that they could find the base in Fort Lauderdale. "...At 1545 Fort Lauderdale tower receives a call from the flight but, instead of requesting landing instructions, the flight leader sounds confused and worried. "Cannot see land," he blurts. "We seem to be off course." "What is your position?" the tower asks. There are a few moments of silence. The tower personnel squint into the sunlight of the clear Florida afternoon. No sign of the flight. "We cannot be sure where we are," the flight leader announces. "Repeat: Cannot see land." Contact is lost with the flight for about 10 minutes and then it is resumed. But it is not the voice of the flight leader. Instead, voices of the crews are heard, sounding confused and disoriented, "more like a bunch of boy scouts lost in the woods than experienced airmen flying in clear weather." "We can't find west. Everything is wrong. We can't be sure of any direction. Everything looks strange, even the ocean." Another delay and then the tower operator learns to his surprise that the leader has handed over his command to another pilot for no apparent reason. Twenty minutes later, the new leader calls the tower, his voice trembling and bordering on hysteria. "We can't tell where we are ... everything is ... can't make out anything. We think we may be about 225 miles [362 km] northeast of base ..." For a few moments the pilot rambles incoherently before uttering the last words ever heard from Flight 19: "It looks like we are entering white water ... We're completely lost."